When I'm taking pictures, I'm very much in my own little world. While other photographers were looking toward the direction of the sunrise, I was more focused on the moon setting. Trying to locate a location where I would be able to get the picture of the moon when it started setting behind the Massive Range. I could have done both, but I noticed the sky was clear, so no warm colours on the sunrise side. 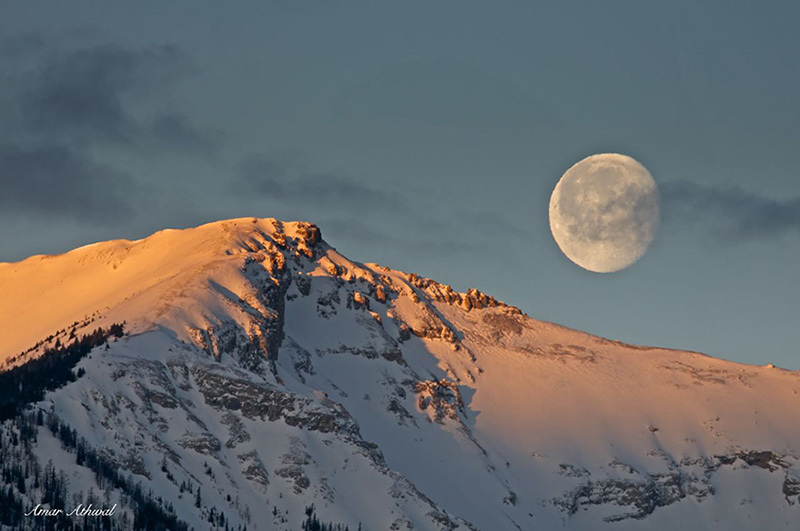 I started to snap away, as the moon got close to setting behind one of the peaks. Timing was on my side, top of the peak was lit by the morning light before the moon set. Great way to start the day.